Moscow (AsiaNews) - The Ukrainian Orthodox Church faithful to the Moscow Patriarchate has spoken out in favour of the territorial integrity of the former Soviet republic and against the annexation of the Crimea to Russia, which took place in March after a controversial referendum. This comes a few days after the enthronement on Sunday of Onufry (pictured) as the new Metropolitan of Kyiv. The latter had expressed himself against Kremlin's interference in the affairs of the peninsula on the Black Sea. Meanwhile, Moscow Patriarch Kirill remains silent over the issue of Crimea, but continues to attack Greek Catholics in Ukraine, urging all churches to defend orthodoxy in that country. "As Ukrainian citizens, we think like our government and the international community, that the Crimea is Ukrainian territory and must be returned," Archpriest Georgi Kovalenko, head of the Synodal 'Information Department, told a news conference, as reported by the RBC news agency. In this context, the Ukrainian Church said it was glad that the dioceses in Crimea are still under the jurisdiction of the Metropolitan See of Kyiv, and have not been absorbed by the Moscow Patriarchate. Archpriest Georgi was also keen to stress that an inter-state, not an interreligious war was underway in eastern Ukraine. Crimea is a sensitive issue for the local and Russian Orthodox Church. As regent, shortly before the referendum on annexation, Onufry appealed to Moscow to do "everything possible to preserve the territorial integrity of Ukraine. Otherwise, the unity of our two peoples would suffer a bloody wound, which would be reflected in a painful way on our mutual relations," the then bishop and locum tenens said. On this issue, Kirill has opted for a low profile since the beginning and chosen not to be present, for example, at the speech President Vladimir Putin delivered in the Kremlin to enshrine the "reunification" of the Black Sea Peninsula to Russia. 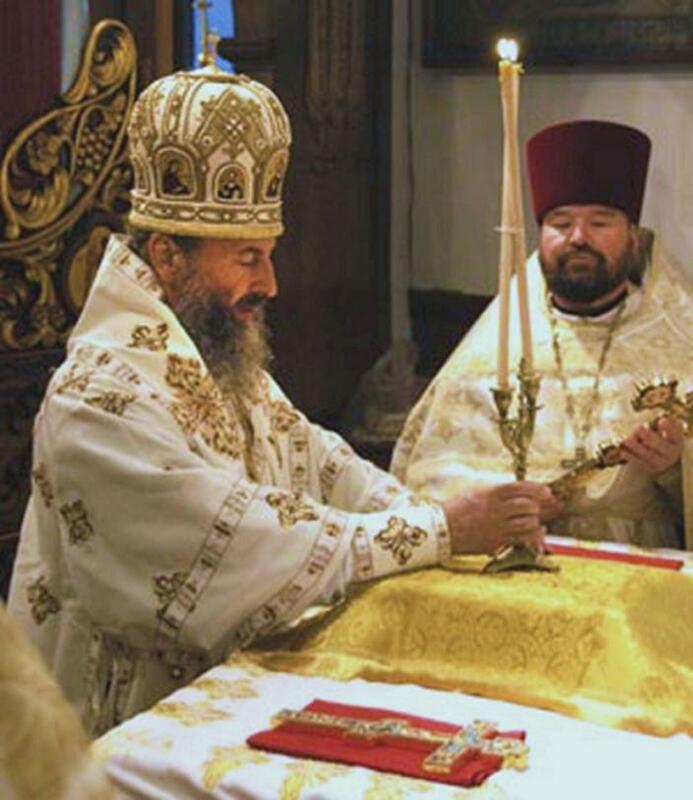 In doing, as AsiaNews reported, some analysts noted the Moscow Patriarchate's extreme embarrassment vis-à-vis the Ukrainian crisis, which threatens to undermine Church structures and institutions and destabilise the plans Kirill himself had pursued in recent years. The patriarch, who had placed great hopes in Ukraine, is now upset by the fact, emerging against the background of the Ukrainian crisis, that new cleavages might be created if the demands by the Orthodox Church independent from Moscow succeed, this at a time of doubts over the Diocese of Crimea and fears of irritating the Metropolitan see of Kyiv. In view of this, reflecting Russian politics in general, the Russian Orthodox Church found an external enemy that it claims threatens the "integrity of its canonical territory", which is based on the notion that Moscow has jurisdiction over all Orthodox faithful in the ex-Soviet republics, including Ukraine. The Greek Catholics are this enemy, derogatorily called Uniates because they are in communion with the pope. In a recent letter to the Patriarch of Constantinople, Bartholomew, Kirill slammed the '"aggressiveness" of the Uniate and schismatics (Ukrainian Churches independent from and not canonically recognised by Moscow) that seek "to seize Orthodox shrines and eradicate Orthodoxy from the territory of Ukraine". The Major Archbishop of Kyiv, Sviatoslav Shevchuk, repeatedly rejected the accusations, appealing instead for reconciliation as well as open and sincere dialogue based on truth.